aSa Estimating allows you to take off directly from a set of printed or electronic plans to the computer keyboard – no transcribing to and from paper, no manual calculations. Reports organize, summarize, and price material so you can quickly submit a successful bid. 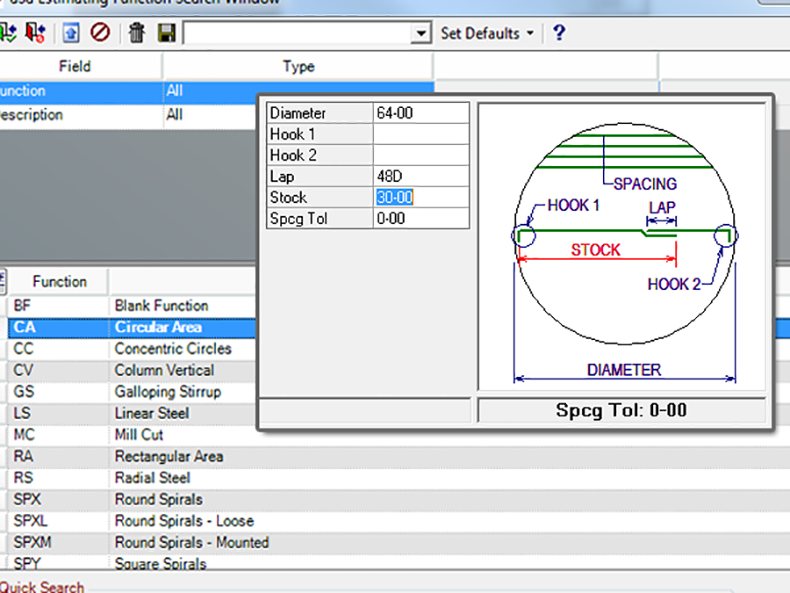 The program automatically calculates common structure types, such as linear, rectangular, and circular areas, varying bars; tie configurations; galloping stirrups; and spirals. Plus, you can create your own formulas. Each entry is checked for errors as it is entered. 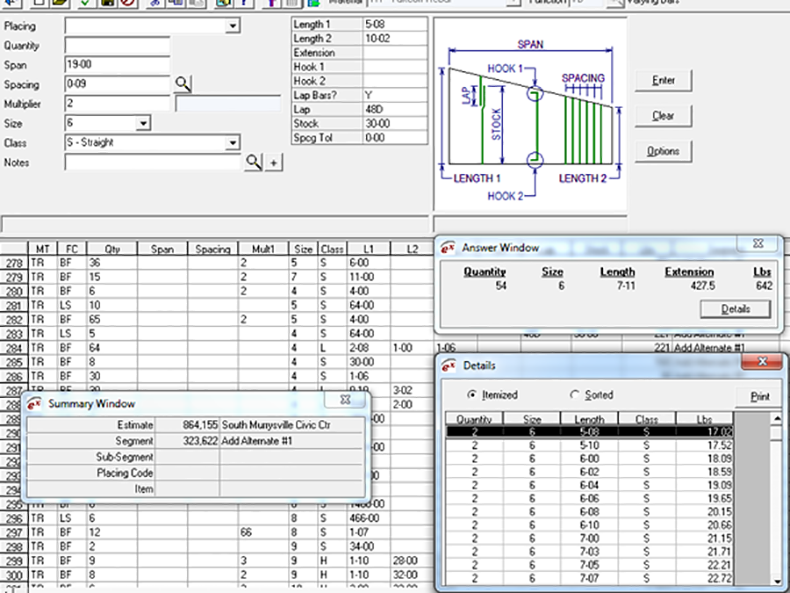 Calculated lengths and weights are displayed for visual verification. 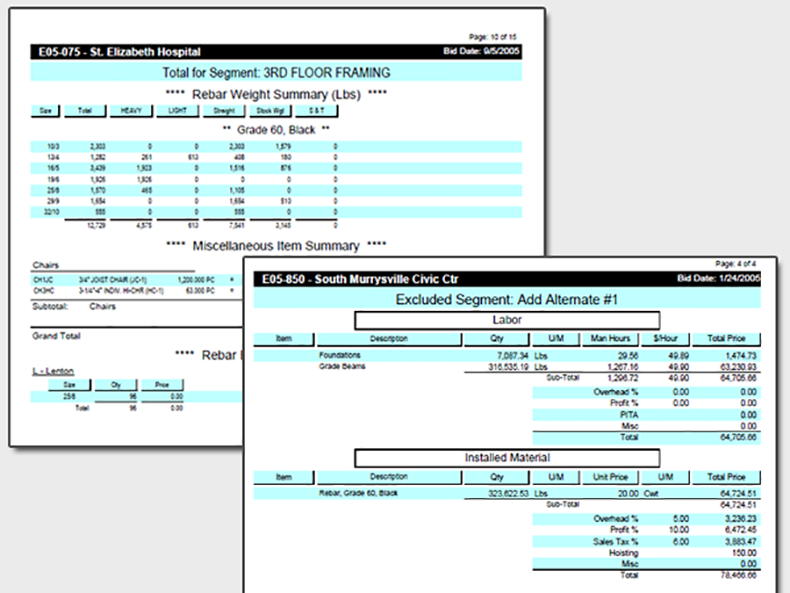 Group your estimate into sections by bid item or by structures, such as foundations, walls, and footings. Reports sub-total each grouping. Based on estimate summary information and settings that you define, the program will automatically calculate man-hours and costing associated with installation labor. aSa Estimating allows you to take off directly from a set of printed or electronic plans to the computer keyboard – no transcribing to and from paper, no manual calculations. All entries are checked for errors and converted to pieces, lengths, and weights automatically as they are entered. 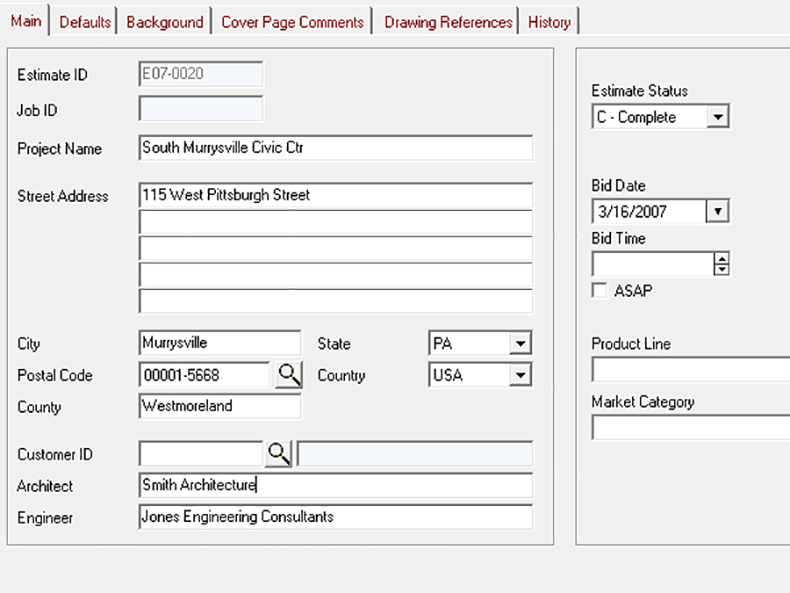 Reports organize, summarize, and price material so you can quickly submit a successful bid. Pricing and other defaults are controlled by you; the estimate screen and reports can be structured to satisfy both the estimator’s needs and the bid requirements. I can't imagine ever doing without (aSa Estimating) as it has decreased my overall bidding process time and increased my available management time. 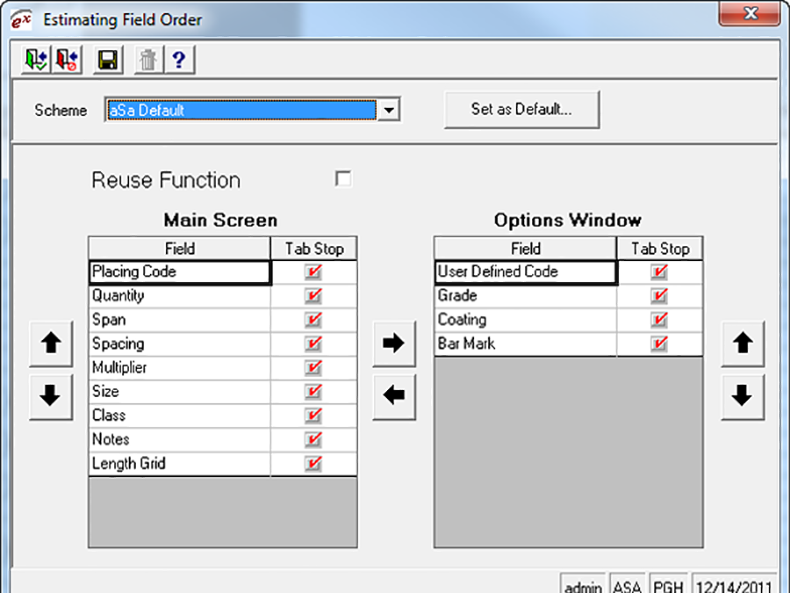 Scroll through the screens below to explore just a few of the many benefits of aSa Estimating. Answer windows to help prevent entry errors. Reports organize, summarize, and price material and labor.